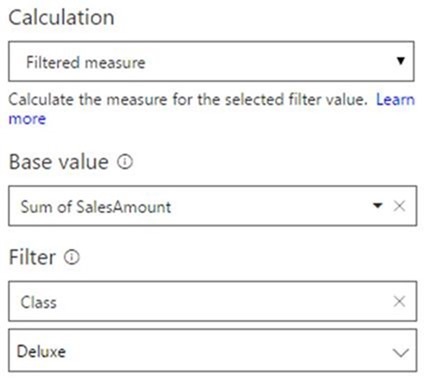 Quick measures, a new feature Microsoft released in their April Power BI Desktop update, lets you quickly create new measures based on measures and numerical columns in your table. These new measures become part of your model and can be used in any of your charts, just like manually created DAX calculations. You can also see the underlying DAX, and edit it if you need to tweak the results. You can create measures based on 19 different calculations across five different categories. Let’s take a look at those five different categories. 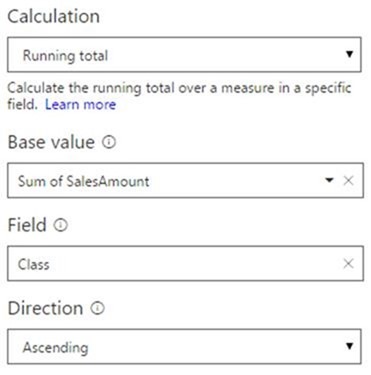 These calculations let you apply different aggregates at different levels in your data. 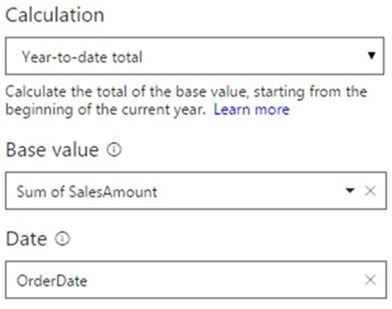 For example, you can sum revenue up to the month level, and then take an average of that total to display at the year level. If you need a measure that shows period-to-date or period-over-period values, the time intelligence category of calculations lets you do this. For example, you can calculate the sales amount over the order year to date. 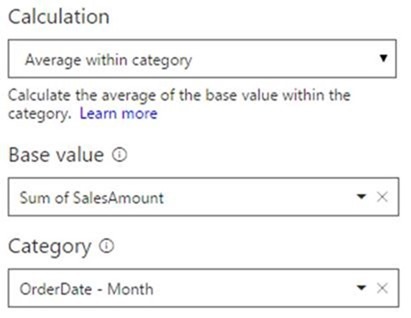 At present, the time intelligence calculations only work with date fields with Power BI’s built-in date hierarchies. If you’re using your date field in visuals and see Date Hierarchy on the field well menu, then you can use that field in the time intelligence quick measures. Microsoft is looking to remove that date hierarchy restriction in the future, so you can easily use your own date tables too. This category (it’s just one calculation, so far) is similar to the YTD calculation, but lets you apply a running total over any field, not just dates. 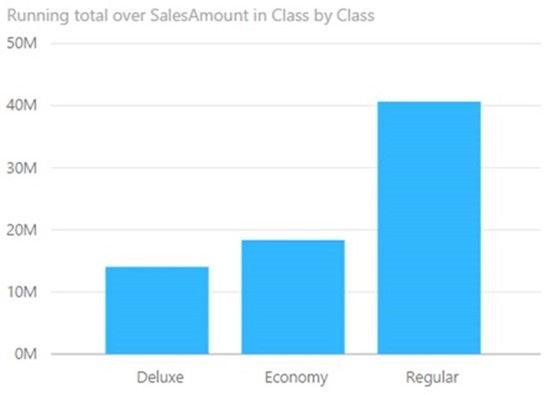 CLICK HERE to read the full article and learn all about applying the new Quick Measures feature within Power BI Desktop! 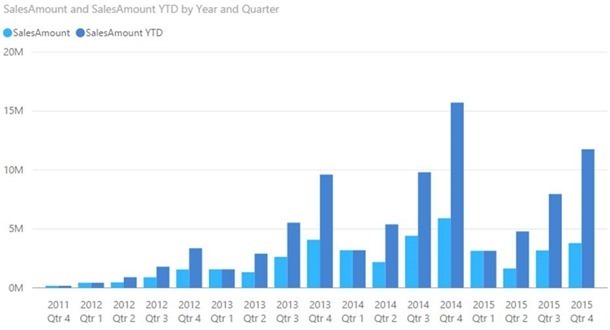 To learn more on how Tallan and Power BI can transform your data into powerful visualizations to optimize business processes and BI strategies, CLICK HERE.